I first came across Action Learning as a tool for experiential learning, personal and professional growth, when I was the National Volunteer Manager for The Prince’s Trust back in, ooh, probably 1999-2000. 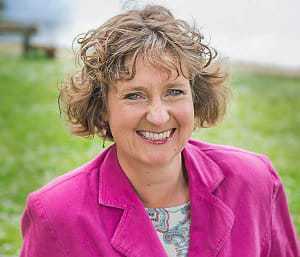 The National Centre for Volunteering Organisations were wanting to help charities grow their managers and leaders skills, so they put on a number of sessions to show how Action Learning could help individuals and the organisations grow. I was fortunate enough to have been allowed the “time off” (as it was seen in those days), to take part in the initial session. I remember loving it on that first day, and putting a business case together to the HR Director to allow me to be involved with a year long Action Learning set with other charity managers. It was an amazing year of growth and development for all of us personally, and the areas we were responsible for in our organisations. My memory has faded, but I remember our group had managers (of all sorts of department areas), from RNIB, The National Trust, English Cricket Board, and a lovely charity which looked after a historic boat on the Thames. I remember taking issues to this group which I couldn’t discuss internally at The Trust due to office politics, or I’d tried and I hadn’t been heard. The results we all achieved over that year were amazing. Not just personally, but for our organisations. It wasn’t just about being heard and allowed to share our concerns with interested people who wanted to help us as individuals, but it was about being able to get to the root of the issue, and either resolve it, or find a solution to the issue we’d raised with the action learning set. My next taste of action learning in action was when I took part in the LEAD programme, at UCLAN in 2010. The action learning part of the programme was one of the main draws for me as it had been so powerful earlier in my career. I knew I could take business issues to this group of small and medium sized business owners and I could work out my next steps. It’s actually from this group, that the Bra Lady network was developed, and I know other business owners also had similar ‘epiphany’ moments in the action learning sets. 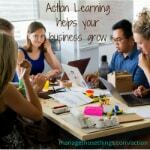 How does action learning help your business grow? As a business owner, when you grow, your business grows too. So anything you can do to help yourself grow personally will have a knock on effect on your business. When you use action learning in a group, or set as they’re often known, you are committing to take action in front of that group. Part of the sign up to be part of the group is to take action. How many times have you been on training and said you were going to do something from that training, and actually not? Well, you’re committing to this small group, who’ve heard you talk passionately about this thing you want to crack in your business, and you’ll be reporting back to them next time. You’re going to take the action aren’t you? Being part of an action learning set gives you a small group of people who want you to succeed, who have all sorts of knowledge and experience, and contacts. By taking your business issue to this group and asking them to help you explore the options available to you, you’ll be getting a wide range of views and opinions to consider. You don’t have to take any of them on board, if you don’t want to. No-one in the group is going to force you to do anything. Simply the act of sharing and exploring your business issue, helps you really understand the issue, and the action you’re wanting to take. Even if that action is nothing. Sometimes that happens, and that’s fine. However, but exploring the issue with the action learning set, you’ve cleared the issue from your to do list, and your head, and you’ve got space for the next thing you want to deal with. There are ways you can use action learning in your business, which offer the opportunity for cross team action learning sets to explore issues together. A number of educational and NHS establishments continue to use action learning as way of delving deeper into issues across departments, and helping colleagues understand cross organisational issues. For smaller teams, or a one person business, joining up with other business owners in an action learning set, often with a facilitator, at least to start with, can help you learn the skills you need to question yourself and your business to learn by itself, and implement different ways of doing business. As part of our Confident business owner programme, we’re using action learning sets as part of the development of individual business owners to grow themselves and their businesses. If you’d like to learn more about this programme, or how you can access an action learning set local to you, get in touch. What’s your experience of action learning? Have you used it in your business? Was it beneficial?